What Does "Derogatory" Mean on Your Credit Report? A derogatory mark can have a major impact on your credit report, and consequently, your credit score. Both of these are major considerations anytime you go to apply for a loan or credit card, so it’s important to understand what’s hurting your credit. While just about any negative item on your credit report is considered derogatory, there are several distinctions to be made for each type. Find out the basics of derogatory marks and how each kind affects your credit. Then you can decide on the best course of action to fix your finances. Once you get your credit score up, you’ll benefit from better interest rates and larger loan balances. Getting there starts with getting rid of derogatory items, so keep reading to find out everything you need to know. 1 What is a derogatory mark? 3 How do derogatory items affect your credit? 4 Is it possible to get derogatory marks removed from your credit report? A derogatory mark refers to any negative item listed on your credit reports from Experian, Equifax, and TransUnion. These items are reported from participating companies, such as credit card companies, lenders, mortgage servicers, and phone carriers. Most derogatory marks stay on your credit report for seven years, although some severe types can last as long as ten years from the time of the account’s last activity. It’s important to understand what each type of derogatory item is so you know how you can avoid adding any new ones to your credit report in the future. Here’s a rundown of some of the most common derogatory marks. We’ll then show you exactly how to find them on your credit report so you know exactly what might be affecting your credit. Perhaps the most common derogatory mark you can have on your credit report, a late payment can be reported by a creditor after it is 30 days past due. It’s then upgraded to a higher level of severity every 30 days, so you could also see late payments that are 60, 90, or even 120 days late. Your credit score drops further for every 30 days the payment remains late. Once an account has been charged off by a creditor, it’s written off as a loss for tax purposes and sold for pennies on the dollar to a collections agency. This usually happens after the debt is 120 days late and results in a new derogatory mark on your report. If you’ve entered into bankruptcy over the last several years, it will be listed on your credit report. It’s part of the trade-off for absolving a large portion of your debt. A Chapter 13 bankruptcy lasts seven years from your filing date, while a Chapter 7 bankruptcy lasts for ten years. Tax liens occur when you fail to pay your taxes. Unfortunately, any unpaid tax lien stays on your credit report indefinitely (and can lead to other serious consequences like wage garnishment). Once the lien has been paid, it should drop off seven years after it was filed. A foreclosure happens when you fall seriously behind in your home mortgage payments. The exact timeline for having the bank foreclose on your house varies depending on your loan agreement but typically begins between three and six months after you first started missing payments. It stays on your credit report for seven years from the filing date. If you’ve ever lost a civil lawsuit that resulted in you owing debt to the plaintiff, then you probably have a civil judgment on your credit report. 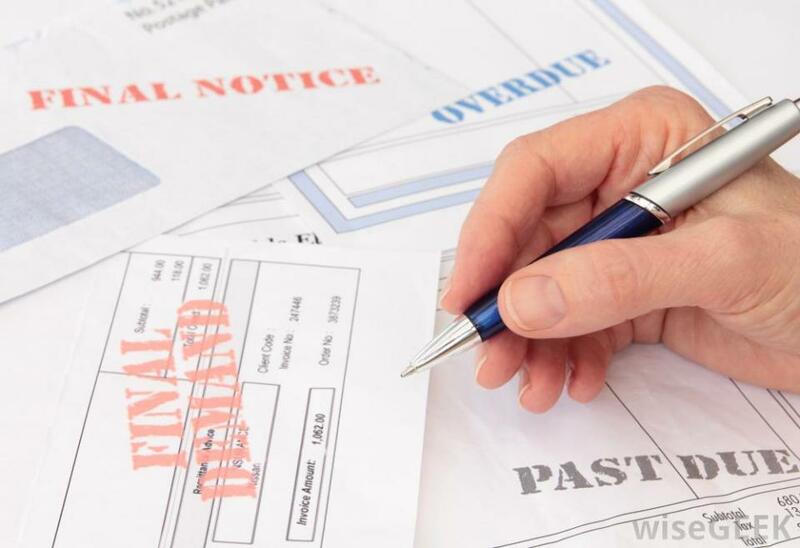 Judgments stay on your credit report for seven years, unless you never pay the owed debt. In that case, it could be renewed for another seven years. In some states, it could continue being renewed indefinitely. To find out which derogatory items are currently active, you’ll need to order your credit report. Different creditors may only report information to certain credit bureaus, so it’s important to get all three. Federal law allows you to request a free copy every 12 months from each credit bureau. You can use this as guidance for spotting your derogatory marks, but it’s still a good idea to look at each page individually. Check for delinquencies under all of your accounts, then look at anything listed under Negative Accounts, Collections, and Public Records (that’s where you’ll find judgments, bankruptcies, and tax liens listed). How do derogatory items affect your credit? It’s clear that derogatory items affect your credit, but exactly how does that happen? First of all, each one lowers your credit score. Just how much your score will drop depends on a number of factors. Less serious infractions like a 30-day late payment may not cause an enormous drop and actually become less influential over time once you’ve repaid the debt. But major negative items can cause bigger drops in your credit score, especially if you had a higher score to begin with. Just like minor negative items, major ones won’t hurt you as much over time, especially after the first two years, but it’s still an incremental change. Although it takes just one single financial event to hurt your score, it can take years to repair your credit score after one or more derogatory item. In addition to hurting your credit score, derogatory marks limit your access to credit. Even if your score begins to rebound a few years after the item was filed, potential lenders and credit card companies still see it listed on your credit report. That raises a big red flag for them because they are unsure whether or not you’ll be able to meet your financial commitment to them. It causes a lot of uncertainty, which is not something lenders like, especially if you have other troubling items like large amounts of debt. Depending on a variety of other factors in your application, you might not get approved for the loan or credit card. If you do get approved, derogatory items can affect the quality of your loan terms. This includes how much interest you’ll pay, how much money you can borrow, and how long you have to repay the funds. Is it possible to get derogatory marks removed from your credit report? Yes, it is possible to have them removed before they naturally age off. By law, credit reporting agencies may not list any information that is not accurate, fair, or unverified. That’s why it’s so important to review your credit reports and make sure all the information is correct. If it’s not, you may dispute each one you disagree with. The credit bureau is required by law to investigate your dispute and resolve the matter within 30 days. You can dispute both closed and open derogatory marks and can do it either on your own or with the help of a professional. There are pros and cons associated with each method, so do your research to find which one better suits you. Perhaps the best reason to dispute negative items on your own is that it’s free. You’ll have to do a lot of research to find the most effective methods, but if you are living paycheck to paycheck, this is your best option. After all, putting yourself further into debt isn’t going to do your credit score any good. But you’ll need to be careful that you don’t make any mistakes that could actually end up hurting your credit score even more. For example, paying an old collection may actually renew the period it stays on your report, depending on your state’s statute of limitations. You also don’t want to offer too much information in your dispute letter, since it’s the credit bureau’s job to verify the accuracy and fullness of each item. Check out our resources on dispute letters to get started on the process. If you can spare the relatively low cost of hiring a credit repair company to help with your disputes, it may be a worthwhile expense. A quality credit repair firm (like the ones we’ve reviewed) typically has a decade or more of experience handling derogatory mark disputes. They know the law inside and out so that they can take the best possible approach at disputing each item. Lexington Law Firm, for example, has both lawyers and paralegals on staff to help you. You can read our full review of them here. Beyond the technical expertise, a credit repair company also saves you the time and aggravation it takes to oversee disputes, especially if you have several. Most firms offer a free consultation before you sign up to use their services. That call gives you a chance to go over your credit history and hear their plan to fix your credit. It’s a low-pressure way to get more information about how they can help you. No matter which route you take, it’s important to know that bad credit is not permanent. There are plenty of ways to fix it. If you avoid any new derogatory marks, then your score has nowhere to go but up as current marks age and cause less damage to your credit. You can even be more proactive by strategically disputing those marks and getting them removed from your report early. Request your credit report today so that you can figure out the best game plan for your own credit repair process. If you’re intimidated, contact a professional to help point you in the right direction.